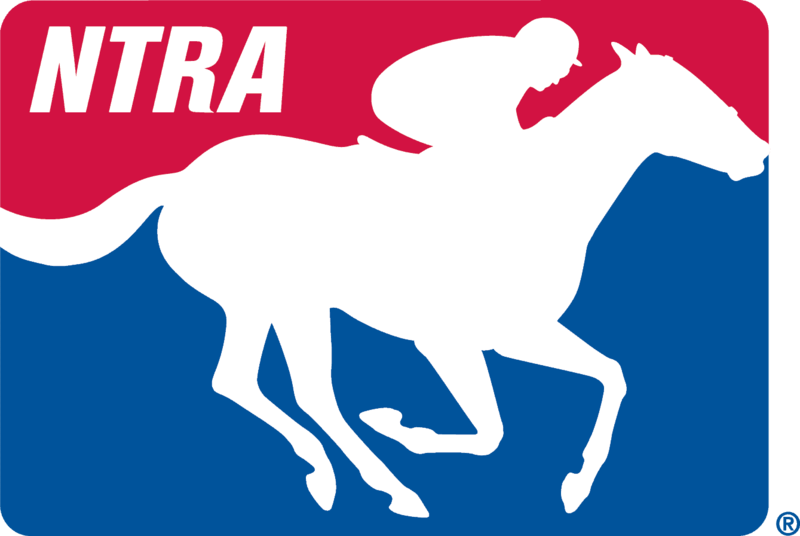 NTRA Road to the Triple Crown transcript for March 18, 2014 covering the Horseshoe Casino Cincinnati Spiral Stakes, Turfway Park and Sunland Derby, Sunland Park Racetrack & Casino. Guests: Trainer Jerry Hollendorfer, trainer Wayne Catalano and trainer Cody Autrey. Jim Mulvihill: This week we continue on the Road to the Triple Crown with two more Kentucky Derby Championship Series races; the Horseshoe Casino Cincinnati Spiral Stakes at Turfway Park on Saturday, and the Sunland Derby from Sunland Park on Sunday. These are the final 85 point qualifiers for the Derby, with 50 points to the winners. Next week, the totals increase to 170 points, with 100 to the winner, for what are traditionally the final Derby preps. The Horse Racing Radio Network will broadcast the Spiral from 5 to 6 p.m. Eastern on Sat; that’s on Sirius XM and Horse Racing Radio Network affiliates, or you can listen live at horseracingradio.net. Now, both of these weekend’s Derby prep races are shaping up with competitive fields. Keep in mind that while they’re historically not as prominent as the prep races that’ll follow over these next few weeks, these are the races that gave us Mine That Bird in 2009, he was fourth in the Sunland Derby, and Animal Kingdom, the Spiral winner in 2011. These races that means have produced a Derby winner more recently than the Blue Grass Stakes, the Louisiana Derby or the Wood Memorial. All that is to say pay attention this weekend. We’ll also touch on the Road to the Kentucky Oaks as part of this call. Turfway hosts the Pure Romance Bourbonette Oaks on Saturday, and in New Mexico, we’ve got the Sunland Oaks. And just like their Derby counterparts, these Kentucky Oaks prep races are worth 85 points apiece. Now, trainer Joel Marr got in touch with us this morning to tell us that his undefeated New Mexico-bred, Proceed, will miss the Sunland Derby. He had a nice work yesterday, but came back with some heat in his front left shin we were told, and it was even more tender this morning, so the decision was made to stop on him and sit this one out. So in place of Marr we rustled up Cody Autrey. He’s the trainer of Tanzanite Cat, winner of the Smarty Jones at Oaklawn in January, and he came back to run fifth in the Southwest. Saturday he’ll try the Sunland Derby, and we’re going to get to him a little bit later. We’ll also talk to Wayne Catalano, trainer of the top two finishers in the Battaglia last month, which is the local prep for the Spiral. But first we’re going to kick off our call with Hall of Fame trainer, Jerry Hollendorfer. A member of the National Museum of Racing’s Hall of Fame, Hollendorfer has won more than 6,600 races, and that is third all-time. In 2013, he had his best year ever in terms of earnings; more than 11.2 million. He’s been the leading trainer at Golden Gate Fields 44 times. That goes with dozens of other training titles in Northern California and beyond. On Saturday he’s got the El Camino Real Derby Winner, Tamarando, in the Spiral, and multiple Cal-Bred Stakes winner, Swiss Lake Yodeler, in the Bourbonette. He also had an eventful last week with the announcement that two year old champion Shared Belief is off the Triple Crown trail, but then coming back and continuing his incredible year with a Grade 1 win by Let Faith Arise in the Santa Margarita on Saturday at Santa Anita. So lots to talk about with Jerry Hollendorfer. Jerry Hollendorfer, welcome to the call. You’re on with Jim Mulvihill in New York. Jerry Hollendorfer: Well, thank you. Happy to be here. Jim Mulvihill: All right. We appreciate you taking some time with us. I’m going to start with Tamarando. You know, spacing-wise coming off of the El Camino Real you could’ve chosen a number of races over this weekend or next. Why the Spiral? Jerry Hollendorfer: Well, first of all, he’s very good on synthetic. He’s won four out of seven, and been a second and a third also, so I wanted to keep him on a synthetic surface and run for a big purse on synthetic. Jim Mulvihill: Excellent. That’s what we were assuming on that point. How did he come out of the El Camino Real, and how has he been working coming into this? Jerry Hollendorfer: Well, you know, he trained in Southern California and then shipped up for the El Camino Real, and then I just kept him here thinking that if I trained him on synthetic here at Golden Gate that would be a better way to prepare him to run at Turfway. Jim Mulvihill: Excellent, yes, that makes perfect sense. You know, looking at this horse, he’s got 10 starts going all the way back to June; hasn’t really had a long break at any point. Is this just one of those horses that likes his job and loves to race? Jerry Hollendorfer: Well, he’s never gone backwards, if a horse is going backward a little we freshen him up and then try to go again with him, but he’s always been steadfastly going forward so that’s why he’s run as many times as he has. He hasn’t shown any inclination to be jogging off or anything like that, so we just kept going. Jim Mulvihill: All right, great to here. Then we also should touch on the Bourbonette. You’ve got Swiss Lake Yodeler. Last time out in the Santa Isabel, Awesome Baby just kind of skipped off over that wet fast track at Santa Anita. Did your filly get a chance to run her race that day? Jerry Hollendorfer: I think she did. You know, maybe she didn’t like the off track, but here again, you know, she’s undefeated on synthetic although she’s only run on it one time. So she won on the synthetic so we’re thinking that she should handle the track there at Turfway pretty good. Jim Mulvihill: All right, and who’s going to ride these two for you on Saturday? Jerry Hollendorfer: I’m bringing Russell Baze to ride both of those races for me. He’s won the Spiral for me before on Event of the Year, and he’s been working Tamarando, and he’ll get along good with Swiss Lake Yodeler. He’s been my main go-to man for many years, so I’m going to let him have a chance to ride in a couple of big races. Jennie Rees: You’re the ultimate at taking it one race at a time trainer, but you did after the El Camino Real Derby say that, you know, a horse has to take you to the Kentucky Derby, but if he takes you there you’ll show up. What are the attributes about this horse that has you even mentioning the “D” word with him? Jerry Hollendorfer: He’s been very ultra-consistent for me. He’s never shown any inclination to have any filling in any of his joints, and he’s been very bullet sound, so, you know, that’s why I kept running him and he’s coming up to this race really well. Jerry Hollendorfer: We had our seven eighths work with him on Sunday, which he handled very well. Jennie Rees: He’s won from 5.5 furlongs to a mile and an eighth. I mean you just think that he’s a rugged horse that the longer the distance and the kind of tough horse that you could take to Churchill Downs? Jerry Hollendorfer: Well, I don’t really know. I’ve always gone on the theory that all good horses can run both short and long, so I think if you check out the facts on that, most horses that end up in the Derby can show speed and carry it, so that’s where we’re at with this horse. You know, but like I’ve said before, you know, he’ll take us there; we’re not going to take him there. Jerry Hollendorfer: California Chrome, there’s a colt that looks really sensational to me. I ran against him, and I think I’ve come the closest to him that anybody has out there on the Santa Anita race track, and he beat me five and a half lengths. So I have a great high regard for California Chrome. I think a lot more people are paying attention to him now, so he’s definitely one to look out for. That colt has it all. He has a good frame on him and he’s fast, and seems like nothing bothers him when they’re out there pressuring him a little bit. Jennie Rees: Yes, and finally, could you talk about the El Camino Real Derby and what you liked most about it beyond winning and getting the first place money? Jerry Hollendorfer: Well, we were off the pace and really looking for a spot to run, and then he got to circle around and got free, he ran him down, so—and, you know, Willard Proctor’s horse was second in there, and he thinks that he has a really good colt, so we thought we beat a pretty good bunch of horses there. Danny Brewer: This is touching on a little bit of what Jim asked you earlier. This will be his 11th career start, and it’s going to be his fifth different track he’s run at. Does that make him battle tested, do you think? Jerry Hollendorfer: Well, I think it does. You know, all horses are different. You know, some you can run more than others, and after running 10 times we wouldn’t be putting him on a plane unless he was doing very well. So, you know, we’re going to bring a nice sound horse out there, and he doesn’t seem like all the racing has bothered him any at all. Danny Brewer: He’s ran in pretty good company. Are you a believer that running tough helps you, or what do you think about that? Jerry Hollendorfer: Well, yes, I don’t know what everybody thinks about East Coast horses and West Coast horses, and Florida and Louisiana, and so on and so forth, but from what I’ve seen, if you can run with the best horses in California, then usually, you know, you at least run pretty well in the races around the country. So, you know, he’s been in against some of the best in California, so I’m thinking that he’s going to run pretty good back East. Danny Brewer: Jerry, you’re a Hall of Famer. You’ve won umpteen thousand races at many different tracks. What would a Kentucky Derby victory bring to your career? Jerry Hollendorfer: Well, everybody wants to win the Derby. I haven’t met a trainer yet that said he didn’t want to win the Kentucky Derby. So I’m just like everybody else, and regardless of when it would happen in your career, I think it would be a big event for any trainer. So I hope to be one of those trainers that does that someday, but we’ll just wait and see. Debbie Arrington: Tamarando he was a brilliant two-year old, and at the El Camino Real he seems to be back at that level. How has he matured and what kind of a horse is he to be around? Jerry Hollendorfer: Well, you know, he’s real easy around the barn and he’s real easy on himself out on the race track. He just does what the rider asks him to do. I think that a big part of his makeup is that he doesn’t really get too wound up or excited about things. So I think he’s going to get on the plane and enjoy the plane ride back to Kentucky, and hopefully he’ll get a hold of the race track there and run well for us. Debbie Arrington: How different is the track at Turfway from the Tapeta at Golden Gate? Jerry Hollendorfer: Well, I’m not certain about that. You know, the last time I ran on it was dirt, and so, you know, it’s synthetic, so it’s probably similar to what we’ve been doing—galloping on at Golden Gate Field. Debbie Arrington: How well does Russell fit Tamarando? Jerry Hollendorfer: Well, Russell fits a lot of horses very well. That’s why he’s won all those races. Although it’s amazing, it’s hard because some of the other riders (inaudible) and they forget about how many races he won. He rode 50,000 races that they said is impossible to do. So he’s still doing well and he still rides very well. I can count on him almost every day. Debbie Arrington: Do you—if it were the case to take Tamarando, you know, to the next step, you know, to Churchill, do you think Russell would stay on him? Jerry Hollendorfer: Yes, I think it would be fun to do that (inaudible) with Russell. We’ve won some awfully big races together, but, and he even rode one Derby for me, but on Shared Belief, we’ll just have to wait and see. There are a lot of good colts out there, and we have some points towards the Derby, but, you know, we’ll have to get more to get in there. Debbie Arrington: And Shared Belief he’s sidelined now. How is he doing, and do you have him up there at Golden Gate with you? Jerry Hollendorfer: Yes, I do. You know, I wanted Janet Hollendorfer to work on that horse’s foot, and she has a friend that helps out with that kind of a thing. It’s a slow going process with the foot, but it’s almost to the perfect point now, so I think shortly you might see some works in a couple more weeks. Art Wilson: Hi, Jerry. Touching on Shared Belief again following up on Debbie’s question, what exactly is the foot injury? Can you actually describe what kind of an injury it is to the foot? Jerry Hollendorfer: Well, you know, it started out as an abscess that came out the heel on the horse, and then as time went on a little sand from the race track worked its way down in there even though we were soaking his foot and keeping it wrapped up all the time, and so it got undermined a little bit, which that happens. Then we patched it, and that didn’t work so well so we had to take the patch off, clean it up again and go on, and work on it some more. So it’s just sometime on feet it’s a long and drawn out process. We had hoped to have it cleared up sooner, but that didn’t work out. So I mean if we don’t have patience with this horse the way that he is now, then we’re going to lose a lot more time. So we’re going to be 100% sure before we do a lot of strenuous training with him, and we’ll hope that that works out. We’re going to try to do everything right. Art Wilson: He is, you know, he looked like—as a two-year old he looked like such a talented gelding. What—how disappointing is it for you to have to lose him off of the Derby Trail, Jerry? Jerry Hollendorfer: Well, of course it’s disappointing not to run in some of the big races that we intended on running him in, but on the other hand, you know, looking to the future, you know, we would rather than get him injured seriously, you know, we think that we have a problem that is not a serious injury and so we can work on it, and we think that eventually he should be 100%. And here, again, we have a very sound horse except for the foot that we’re working on, so if we can get that behind us then I think we’ll show up later in the year. If we can be around at the end of the year we’d be just as happy as the beginning of the year. Art Wilson: And finally, Tamarando, you mentioned how successful he’s been on the synthetics. Have you seen anything in the mornings or in his afternoon races which leads you to believe if he did end up at Churchill Downs that he would have any problems translating his effectiveness from the synthetics to dirt? Jerry Hollendorfer: We raced him at Santa Anita, which, you know, on any given day that can be a pretty biased race track. So he’s one that’s wants to close, and on some days you can’t close off as much ground as you want to. I’m not using that as an excuse, but as a factual representation of the Santa Anita race track. He may handle Churchill a lot better, and on the given day that he runs there, if he does run there, then, you know, he may be able to close off more ground. Plus, in the Derby, you’re going to get a decent pace. And, If he doesn’t get fast traction, so that would be good for him. If he gets in then he would have a better chance to run horses down. So I mean that’s what I’m thinking of, and I don’t know how anybody else sees it. Alan Carasso: Is there something about him (inaudible) logically or about his conformation that makes him a better synthetic horse than he’s been on the dirt, or do you think he’s just been sort of a victim of circumstance in those few races over the Santa Anita main? Jerry Hollendorfer: Well, most of his opportunities have been on synthetic, he is a good horse and so I expect him to win on—maybe on different kinds of race tracks, but most of his opportunities have been on the synthetic. Seven out of his 10 races have been on the synthetic, so I mean that’s why he’s done better on synthetic, because he’s had more opportunities. Jim Mulvihill: All right, Jerry, we pretty well covered the three year olds, so I’ll just ask you very quickly how Let Faith Arise came back from the Santa Margarita, and what might be in her future? Jerry Hollendorfer: Well, you know, there are a lot of different possibilities for her, but to answer your first part of your question, she came back very well and we’re very pleased the way she came out of her race; no problems at all. So we’ll look for another race, and, you know, there are many possibilities including Kentucky, and I might even—for her, I might take a look at the Apple Blossom, although that might end up being a pretty tough race. But we just beat a nice bunch of horses, so I might give her the opportunity to go there on April 11th. Jim Mulvihill: Right. Excellent. Well, we’ll—I appreciate that information, and I thank you for your time today. You gave us a lot to think about and we wish you luck on Saturday. Jerry Hollendorfer: All right, we always need luck. Don’t (cross talking). Jim Mulvihill: All right, thanks, Jerry. That was Jerry Hollendorfer. He’s got Tamarando in the Spiral on Saturday as well as Swiss Lake Yodeler in the Bourbonette. And now we’ll move on to our next guest and that it trainer Wayne Catalano. Wayne’s won more than—Wayne won more than 1,700 races as a jockey before injuries forced him into retirement in 1983. He switched to training soon after, and in the next month or two he should get his 2,500th win. He’s a nine-time leading trainer at Arlington Park, and also has won titles at Sportsman’s and Hawthorne. He’s won three Breeders’ Cup races, including two runnings of the Breeders’ Cup Juvenile Fillies with eventual champions in Dreaming of Anna and She Be Wild. Now, Wayne could have two starters in the Spiral after winning with Solitary Ranger in the Battaglia, Poker Player (runner up in the Battaglia) and he’ll be represented in the Bourbonette by Aurelia’s Belle, who has hit the board in a pair of Grade 2 races at Gulfstream Park. Wayne, thanks for joining us. You’re with Jim Mulvihill in New York. Wayne Catalano: Hey, Mr. Jim. Nice to be with you. How are you? Jim Mulvihill: I’m doing great. It’s always good to talk to you. Now let’s start with the Spiral, and my first question is about Poker Player. Have you made a decision on whether he’s going to run? Wayne Catalano: Yes, we’re going to run Poker Player. Jim Mulvihill: All right. Well, they both have the benefit of having run in the Battaglia over the Turfway track. Is that important at that track to have an out over the surface? Wayne Catalano: Sometimes on the Polytracks it’s a good thing to have a race over the track. Jim Mulvihill: I see they both worked three quarters at Keeneland on Saturday. What can you tell us about those moves? Wayne Catalano: They worked well, and the main important thing they came out of the works good. Jim Mulvihill; All right. And what other impressions do you have of them coming into this race? Wayne Catalano: Poker Player if he runs like he did last time, the more added ground that he’s going to get; a mile and an eighth, he’s probably going to appreciate that. Jim Mulvihill: All right, and have you looked at the race yet? There isn’t a ton of speed in there, which I would think would benefit Solitary Ranger. Wayne Catalano: Right. Yes, I glanced at the race. It does show he’s the speed of the race. Jennie Rees: Did Solitary Ranger’s performance surprise you at all last time? I mean he went off at nine to one. Wayne Catalano: No, that surprised me, nine to one, but not his performance. No, we were expecting a big race out of him. Jennie Rees: You said right after that race that you wondered if he might have, you know, some distance limitations heading down the road. What all were the factors that went into the decision to come back in the Spiral? Wayne Catalano: Well, being a $500,000 race and a point race, Ms. Susan would like to take a shot at the distance at $500,000 rather than take the distance at $100,000 so she says we’ll take a shot at it. We’ll see if everything goes well and he might be okay. Jennie Rees: I mean are you thinking about May 3rd with him at all? Wayne Catalano: Well, I’m not sure, but if he wins the race we’ll be thinking about it. Jennie Rees: You know, any thoughts about him on—I mean he does have grass breeding—on dirt? Wayne Catalano: Well, he does have grass breeding. I guess his daddy was a mile turfer, right? So he just likes to run and I think his ability can probably run on the dirt.He worked very, very well at the Fair Grounds. Jennie Rees: Poker Player, you were sort of in with him, out with him. What was the decision on running him in this race versus waiting for the Blue Grass? Wayne Catalano: Well, Mr. Benny and Mr. Wes, they looked the race over and they thought this race was going to be a little bit easier than the next race, so they thought we’ll take our shot here. If he came out of his works and did everything well leading up to this race, he thought we might take a shot in it, and it looked like a little easier race than the Keeneland race. Alan Carasso: I was going to follow-up on that angle of how surprised you were about the Battaglia, and particularly the price, and I’m wondering if you put a few dollars through the window? You know, do you see him as a dirt horse? I mean given as well as he ran at Arlington last year and then your comments about him out of that race were pretty bullish going to Keeneland after that, and, you know, if he ran well this weekend, would you consider coming back in the Blue Grass, or what would your plans be do you think? Wayne Catalano: I would probably not come back in the Blue Grass; it’s pretty quick back, and, you know, coming to this race, so we would probably not do that. So I think our best thing to say and do about this is see how he runs on Saturday and then make a decision after that. Alan Carasso: What do you think of him going forward; the opportunities on synthetic going forward for three year olds are pretty slim at least in the Midwest. Would you see him as an Arlington Turf Series sort of candidate? Wayne Catalano: Right. Yes, he really ran very well on the turf. When we did run him at the Fair Ground he wasn’t quite 100% ready for that race, and, you know, he does have the pedigree for it, so we would be looking forward to running those races at Arlington. Danny Brewer: Solitary Range, two for two in 2014. Has he found himself or maturing, or what’s the story right here? Wayne Catalano: Yes, he is maturing. The horse has filled out and matured and doing very well. Obviously his performance, and I think the race is going to help him, he was kind of leading the race also; a little slow coming around at his first race and the grass, and he wasn’t 100% ready for that, but we needed to get a race underneath him. Then he did (inaudible) the next one which would’ve been one of the other dirt races, but that didn’t work out, so the only thing left was the Battaglia, and that’s how we ended up in that race. Danny Brewer: Do you think that he and the Churchill Downs dirt will be a good mix or is that something we’ll find out after the Spiral? Wayne Catalano: Well, if he runs like he’s worked at the Fair Grounds on the dirt, I would think he wouldn’t have any problem with it. He was working very well on the dirt at the Fair Grounds. Danny Brewer: As far as Kentucky Derby and the glory and the magic that it brings, what as a jockey and a trainer, and obviously you’ve been a veteran of the horse game, can you talk about that and what a trip to Churchill Downs would mean to you? Wayne Catalano: Well, I’ll tell you what, the second time around I’ll have a little better idea. We went to the Derby in 1997 with Crystal Star, so I mean it’s like it’s a great experience. There was nothing like it. I mean when they sing that song coming out of that tunnel it’s like it really gets to you. So that’s kind of like every trainer’s dream,, and that’s why we do it every single day 4 o’clock every morning 365 days a year so hopefully we can get that caliber of horse to go the Kentucky Derby. Danny Brewer: Wayne, hopefully you’ve got one. I get goose bumps thinking about it myself, so I wish you the best of luck and hopefully everything will work out for you on Saturday. Carol Holden: Hi, Mr. Catalano. Thank you very much for joining us today. You have always given Jack Van Berg a great deal of credit for your success, and he’s brought up several other good trainers along the way. I was wondering if you also have a program of bringing young trainers along, and if you’re as tough on them as he was on you? Wayne Catalano: Yes, I’m not as tough as he is, and it was a good thing that he’s been tough on all of us coming up along the way. He set us a straight arrow and gave us the fundamentals that we needed to be a trainer or a jockey or whatever you want to be in this career. Luckily for me I had such a great trainer and teacher like Jack Van Berg, and that’s why my success is a lot of it goes toward Mr. Van Berg and teaching me the ropes, and to be a trainer, and to be a jockey. Most of all I started out to be a jockey and he fulfilled my dream there, and then finished it off by giving me the skills and teaching me a trainers. Carol Holden: You’ve also had some ups and downs as far as losing owners and making a comeback. I was wondering do you have any particular philosophy that keeps you going or anything in particular that you attribute your continued success to? Wayne Catalano: Well, there’s only one thing you have to do and that’s win. Everybody wants to see you win, and I was fortunate enough to keep on winning. You know, we started out very, very fortunate with Mr. John Franks and Van Berg when we were working for him, and they gave me a handful of horses when I first started. So we had John Franks, and everybody along the way was—it’s an unbelievable career that I had. I had some great owners and some great people behind me to give me the opportunity. Yes, we went through some owners and we went through some times, but we kept working hard at rebuilding, and we rebuilt ourselves a couple times. Jim Mulvihill: All right, Wayne, we should also touch on the filly in the Bourbonette. You know, you could’ve stayed in Florida for the Gulfstream Park Oaks. You ran in the first three races in Gulfstream’s Filly Series. Why switch it up and go to Turfway? Wayne Catalano: Well, we were coming down this way and (inaudible) one of these races that was almost identical as she broke her maiden, and three races at Gulfstream Park is enough. Jim Mulvihill: It’s enough, why? Wayne Catalano: Well, they’re not easy races down there, and the track, you know, once you race over it two or three times it’s really enough on the horse. Then you’ve got Pletcher who’s got all the powerhouse horses. We ran against some nice horses down there. Wayne Catalano: We wanted to get the people on our surface, which we think is the poly or the grass, and she broke her maiden on a poly looking very well. So we started out coming down here and maybe running at Keeneland, but this race came up and we’re going to consider it. She worked today; she worked very, very well. Jim Mulvihill: Yes, can you tell us a little bit more about that and what you saw today? Wayne Catalano: Yes, she worked extremely well. I mean she went up against three or four very, very nice horses that worked today, and she was I think one of 22, if I’m not mistaken, and if you look at the work tab you’ll see a couple of really nice horses that worked today. Jim Mulvihill: Excellent. Well, that’s very encouraging, Wayne, and we appreciate your time today, and good luck to you on Saturday. Wayne Catalano: Thank you. Always a pleasure talking to you guys; anytime. Jim Mulvihill: All right, Wayne. That’s Wayne Catalano, Solitary Ranger and Poker Player in the Spiral, as well as Aurelia’s Belle in the Bourbonette. Cody Autrey: Hey, Jim. How are you doing? Jim Mulvihill: I’m doing great. Now your horse faded to fifth in the Southwest. It wasn’t an unreasonable pace, but that was a pretty salty field that you faced that day. Just wondering what your impressions of that race were? Cody Autrey: Well, Corey Nakatani rode the horse that day and he felt like he had the horse shut off on the back stride, but Ride on Curlin kind of made a premature five eighth mile move that engaged us and put us right in the middle of Ride on Curlin and Tapiture. Cory was real pleased with the way he ran because he, you know, he was in between horses the whole way and had to kind of get it into gear a little sooner than he would’ve liked. So Ride on Curlin beat us three quarters of a length for third, and he came back and he validated that race with a third place finish in the Rebel this week, so we’re going to try him in the Sunland Derby. Jim Mulvihill: Excellent. He had a bullet work on Saturday. What were you hoping to accomplish that morning, and what did you think of that move? Cody Autrey: I thought he went very well; a little quicker than I like. He went out in :59 and 4; that’s what we caught him in. And Robert (inaudible) was on him for the work and said he worked really well. He came out of the work really good and he arrived at Sunland Park last night about midnight, so he’s already settled in. Jim Mulvihill: All right, and when you say that move was faster than you would’ve liked, you know, there’s a positive side of that as well. I mean was he doing that within himself? Cody Autrey: Yes, we worked him and he just did it very easily; outworked his workmate and galloped out we were looking for just a maintenance move and we got a little bit of a fitness move in there. Jim Mulvihill: All right, and I want to just ask about your impressions of this horse early on. I mean when he debuted at Del Mar he went off as the favorite, and that makes me think he must’ve been somewhat flashy in the mornings from the very beginning. So, you know, what did you think of him physically when he came to you, and then when you were getting him ready to race last summer? Cody Autrey: Well, we bought him at OBS Sale last year, and ever since we got him in and got the two year olds in in California, he had showed lots of promise from the first time we worked him and he just kept getting better and better and better. His debut was a pretty good first race. After the race we just kind of gave him a little time to grow up, and took him down to Evangeline Training Center and got him ready for Oaklawn. He got ready a little sooner than we thought so we started him at Fair Grounds, and he broke his maiden right there. And ever since that race he’s just gotten better and better, so we ran him in the Smarty Jones. He ran a great race there. He had to step up in the Southwest. You know, he ran fast; we didn’t think he ran all that bad. And since then he’s trained really good, so we’re going to see if he can step it up a little bit. Jim Mulvihill: All right, and then it sounds like from what you’ve said that this is a horse that he’s going to be right on the lead no matter what. I mean is there any chance of seeing him anywhere else? Cody Autrey: Well, I mean he will race. He doesn’t have to be on the lead, you know, but probably come off his last two races going a mile, mile and sixteenth to be in a forwardly place. Going a mile and an eighth hopefully the pace might be a little bit softer and he will be forwardly placed, because Sunland’s kind of a speed-favoring race track from what I’ve seen, so there’s no sense in taking him back, you know, and trying something new there. Now, if something happens and there’s a, you know, a hot pace, and I let my guys do whatever they want to do midway through the race; that’s their gut, so. Jim Mulvihill: Got you. And is Roberto going out there on Sunday? Cody Autrey: I don’t know. I’m actually working on Joel Rosario right now, but I haven’t got the word back yet, so. Felix Chavez: I guess just tell me a little bit about your career and training. How did you get involved and do you come from a family history of training? Cody Autrey: Well, actually, my stepdad trained horses and he kind of introduced me to the game when I was 9 or10 years old, and actually I went to school in El Paso for a little bit; for about a year there. I knew the stables at Ruidoso and El Paso throughout my childhood. I moved around quite a bit like trainers do, and once I got a taste of it, that’s the only thing I ever wanted to do. Felix Chavez: Sure. What school did you go to in El Paso? Cody Autrey: You know what, I can’t even remember the name of it. Felix Chavez: Okay (cross talking). Cody Autrey: But, yes, it was—I think I was 9 or10. I think it was probably—I think it was fifth or sixth grade. I can’t remember. Felix Chavez: Okay. And what’s your—I’m sorry, Cody, just what’s your stepdad’s name? Felix Chavez: Jack Palmer. I guess just talk a little bit about your career and evolving as a trainer. Where do you feel like you’re at in your career, Cody? Cody Autrey: Well, obviously we’re trying to get better horses. You know, we started out of Lone Start Park as Jim’s (inaudible) he was there, too. You know, we started out with modest horses, training horses, and just kind of worked our way up to a little bit better quality horse. And that’s our whole goal now, buying young horses and getting better horses in the barn that we can win these kinds of races with. Jennie Rees: Could you just talk about the decision to go to Sunland? Had you seen enough of Tapiture, or did you think that the track, like you said, Sunland can be kind to speed and you thought, well, might as well take advantage of that? Cody Autrey: Well, you know, obviously Tapiture and Strong Mandate they were already graded stakes winners coming in with very high credentials, you know, aiming towards the Kentucky Derby. When it looked like to me that maybe we were just a notch below those two horses, and sometimes it’s—for some reason the Sunland Derby I think might come up a tick easier. But now we have to face Baffert’s two horses and Pletcher’s two ship-ins. But they’re kind of in the same position we are; you know, they’re maiden winners or stakes winners but they’re really young horses trying it to take the next level up. So we’d rather go there and try him at the mile and an eighth. If he can step up going a mile and an eighth against those types of horses then he’ll make—maybe make us go on down the road. But if not, then we know where we’re at and we can regroup. Jennie Rees: How much are you thinking about May 3rd, Churchill Downs? Cody Autrey: Well, I don’t even think about it to be honest with you, because I’ve seen some of the best horses going in be scratched on race day, the day before, two weeks out, a month out, so the way I look at it is you just let the horses do the talking, and hopefully you look up and it’s the third week in April and you’ve got one who looks like he can get there. Jennie Rees: Do you have any sort of sense on how far you think this horse will run or just the Southwest was just not a fair test? Cody Autrey: Well, no, I think he’ll at least get a mile and an eighth. I mean Nakatani told after the race, he said, listen, don’t be afraid to try this horse the same distance or farther. He never quit, he said I just had to use him a little (inaudible) down the backstretch. He said this horse never quit. He said so don’t be discouraged and maybe go on with him,. Danny Brewer: Do you like where Tanzanite Cat is right now as far as his maturity and how he’s developing? Cody Autrey: Yes, I mean this is a completely different horse than we had, you know, I would say in August and September. After Del Mar, he really started picking it up, and after his maiden winner at Fair Grounds, he hasn’t missed a beat since then. I mean he hasn’t had any setbacks whatsoever. So with a three year old like this, everybody’s trying to figure out where they are, and the best way to do it is put him in. Danny Brewer: Now he’s obviously well travelled with the Del Mar and Oaklawn Park and now the Sunland Derby, so do you think that helped him find his niche being at different tracks and facing different horses? Cody Autrey: Well, yes, that’s given him experience, but I mean this horse you really can’t shake him up. You could haul him anywhere you wanted to haul him and he settles in like he’s been there, you know, for two months. So they called me this morning and told me he ate up all his feed last night. They sent me a video of him and he looked bright and alert, and I mean that’s just what we expect from him. Carol Holden: There was some mention of Ruidoso, and I was wondering do you have a quarter horse background in your early years of training? Cody Autrey: Well, my stepdad, he trained quarter horses and thoroughbreds, and I was raised—that was the first race track—well, I wouldn’t say the first race track, but that was one of the early race tracks was Ruidoso and Trinity Meadows in Rutherford, Texas. Yes, that was pretty much what I was raised around was quarter horses. Carol Holden: What made you make the change to thoroughbreds? Cody Autrey: You know, Bubba Cascio was a mentor of mine. He was like my father; he taught my father. And he kind of trained—switching over the thoroughbreds when Lone Star Park was the first class one race track, you know, in Texas. So when he went over there and I started seeing how it was going, and the purse money you could see was better, and there just looked like there was more opportunities in the thoroughbred business. Carol Holden: You mentioned that you’re hoping to get more young horses along the way so that you can build up into the better races and that. Do you go to a lot of the sales, and do you have owners that are of the same mind? Cody Autrey: Yes, yes. We just got back from the March Select sales this last couple weeks and the April sale in Ocala we’ll be there. Yes, I do have—I have two owners that are pretty much wanting to focus on those types of horses; you know, yearlings and two year olds of high quality. Jim Mulvihill: Cody I just wanted to follow-up with one quick question about the Sunland Derby in general. You mentioned that sometimes it seems like it comes up a little light, which is surprising considering how much money they give away. You know, what do you think of this race, and why do you suppose that more accomplished horses aren’t willing to ship there? Cody Autrey: Well, it’s probably because, you know, the majority of the Derby preps are, say, this time of year are based in Oaklawn or Florida or California. It’s hard to get people to travel away from their backyard, I should say. Pletcher’s got the majority of his stables in Gulfstream and Palm Meadows. Chad Brown and those guys down there, everybody’s looking for one good horse, and Pletcher, he has to ship around because he’s got so many good horses, as well as Baffert. I mean so I think that if they can keep their better horses in their backyard and develop them right there in front of them they’d rather do that than ship them across country. So, you know, you have Baffert which is in California so it’s not very far ship for him, and he seems like he has come to the race very year, but a lot of times I think guys just would rather run in their backyard. You know, it’s sort of like the Rebel, the Southwest, Arkansas Derby type thing, and most of the local horses stayed here. Just like in Gulfstream, I mean Cairo Prince and all those horses are going to probably, you know, prep down there. So I think guys that ship are kind of in the same position that I am; you know, they’re looking for that step up race in their three year olds and hope that they keep moving forward. So I see Pletcher’s bringing two; they’re both maiden winners, so maybe he thinks it’s maybe a tad easier there than would be the Florida Derby, you know? Jim Mulvihill: Well, somebody’s going to get the winner’s share of $800,000, and also probably a berth in the Kentucky Derby. So we wish you luck on Sunday, Cody, and have a safe trip, and hopefully we’ll talk to you again down the road. Cody Autrey: That sounds good. Thank you, Jim, for having me. Jim Mulvihill: All right, Cody Autrey, trainer of Tanzanite Cat. And that wraps up this week’s call.